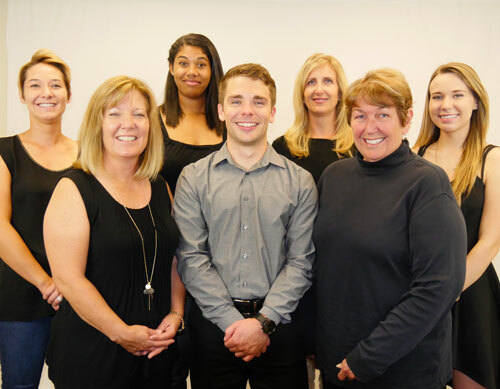 Introducing The Pinnacle Team at RE/MAX properties, inc.
Our team has three licensed real estate agents: Carmen Molitor, Emerson Lawrence, and Andrea Pauly. Combined we have over 20 years of experience selling real estate in the Pikes Peak region. Ruth Affeld and Breanna Rollings are our Transaction Coordinators. They work closely with our agents, customers, title companies, lenders, and vendors to ensure a smooth transaction. Ruth and Bree ensure that all of the required paperwork is distributed to the proper parties in a timely manner. They help us manage all of our critical deadlines and communicate the status of the transaction to our customers throughout the process. Kendra Marks, our Marketing Coordinator, works closely with our agents and our customers to aggressively market our listings. Kendra creates and manages the marketing material for each listing. She sends weekly reports for each of our listings so that we can make any necessary adjustments in our marketing, pricing, staging, etc., in order to get the best exposure possible for our listings. Kendra is also our team’s Photographer and Certified Home Stager.